In the manufacture of identity may be used with a standard set inset details, or to be tailor-made, and sometimes with the use of the emblem of the organization. In addition, insert can be printed in black and white format, as well as using different colors of paint. It can also be completely filled, i.e. provides accurate filling of the computer all the required graph type standard form; or inset can leave blanks to fill in further writing. 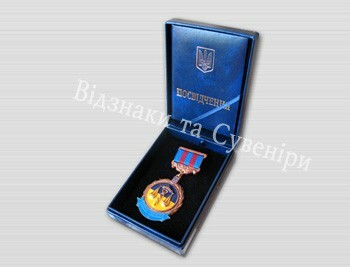 Standard lettering, which makes for a crust, is the coat of arms of Ukraine and the inscription "certificate". For rapid production of certificates are used pre-made crust with a standard emblem of Ukraine and the inscription "certificate", so it remains only to print inset and glued it. Therefore, to make them not need long periods of time. The cost of manufacturing licenses includes a standard embossed on the cover. If on the surface of the individual must perform stamping, in such a case, you must make a cliché, but its cost will be included in an additional charge. The cost of manufacturing a cliché depends largely on the circulation of identity, namely, the required number of prints. Clichés exist several types - metal, silicone and photopolymer, each designed to produce a certain number of prints. What is embossing, and why it is necessary in the manufacture of license? Embossing - this process, by which is directly and logo drawing and writing on the surface of the cover identity. When applied to the following types of embossing - Blind, relief and foil stamping. Each species in its own original and different. Blind embossing in the production of certificates used in the case where the certificate is required to bring an official document of the form. With this type of embossing, the image is pressed into the material, deepening its place in print. When using embossing (or as it is called - a multi-level embossing) image is a relief, and its elements are located on different planes of the material. Foil stamping applies when the certificate must be put to more expensive and more presentable. This kind of label or logo of the application may be a choice or blind embossing or with Relief. Production of identity with the foil will be very original and unique, since it is possible to apply the foil of many hues. So there is foil gold, silver, holographic, as well as many other colors.